The current high pressure over scandinavia has brought an influx of birds from the baltic to the east coast of britain. A notable dispersion of honey buzzards and wrynecks followed highlighting many migration routes through the country. On brean down on 16th september I noticed a large warbler fly across the track in front of me and as I drew closer it again flew across the track in front of me but at much closer range. 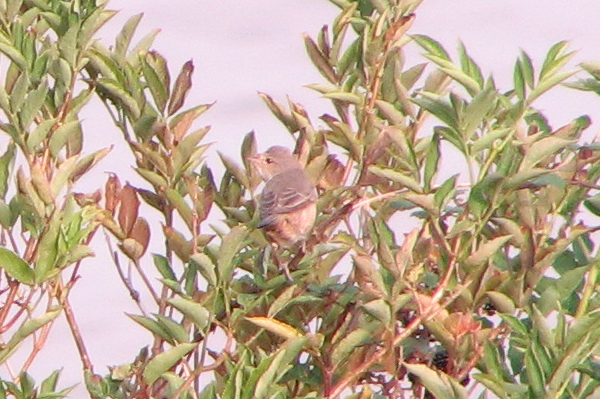 The bird immediately struck me a being a large grey warbler making me think instantly of Barred. 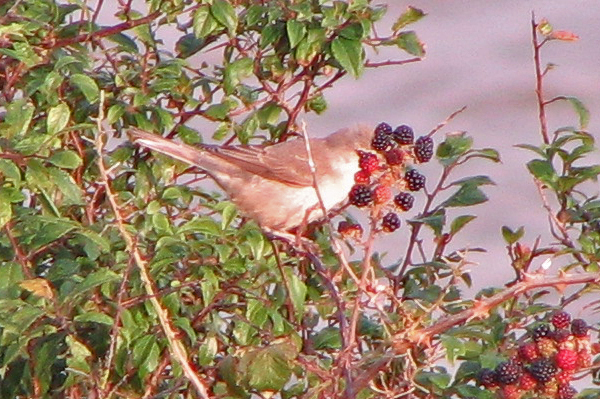 Once located where it landed I could see with the aid of binoculars that it was indeed a barred warbler and attempted some photos as record shots. I kept my distance not wanting to force the bird to fly or move into cover. 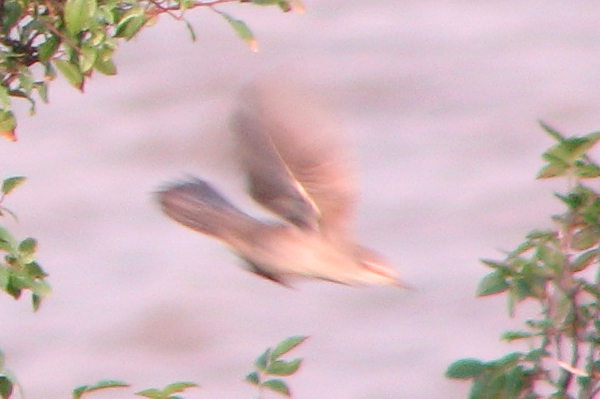 This seemed to do the trick as the bird performed in the open on several occasions allowing distant pictures. 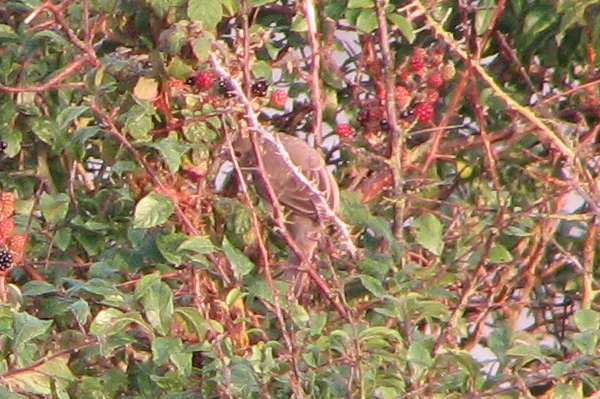 Eventually it seemed to settle just short of fiddlers point and fed on blackberries before retiring just out of sight to preen. 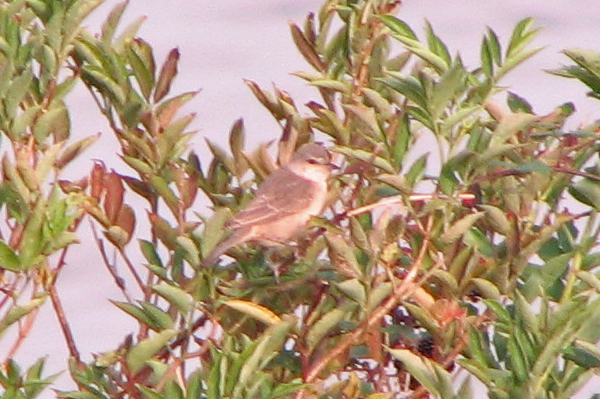 A thrilling bird to find and one of only five county records: Porlock Marsh 8th August 1969, Berrow 22nd August 1976, brean down 26th august 1986, Lilstock 12th-14th September 1990.